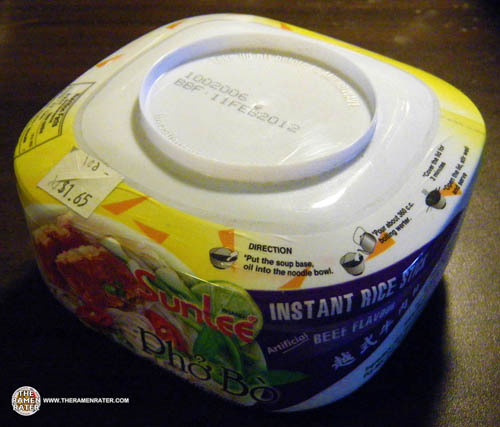 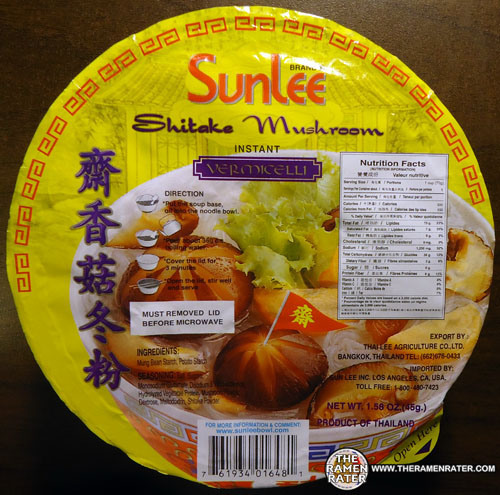 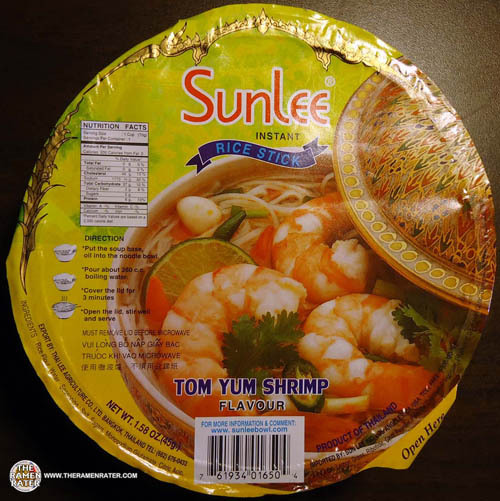 This entry was posted in * Stars 2.1 - 3.0, Chicken, Sunlee, Thailand and tagged 01644, 3, 61934, 7, 7 61934, 76193401644, 875, 98026, artificial, asian, asian instant noodle soup, bowl noodle, buckwheat, chicken, chinese, chow mein, edmonds, eggs, flavor, fried noodle, hans lienesch, indomie, instant noodles, instant ramen noodles, japanese, korea, korean noodles, lee, lienesch, maruchan, mi goreng, nissin, noodle, northwest, ponpoko, poulet, Ramen, ramen blog, ramen blogger, ramen rater, ramen recipe, ramen review, ramen reviewer, ramen reviewers, ramen reviews, ramen video, ramenrater, ramenrater.com, ramyeon, ramyun, rater, rating, ratings, review, reviews, rice, rice noodles, rice vermicelli, saifun, saimin, seattle, shin ramyun black, soba, soup, spicy ramen, sun, sun lee, sunlee, tanuki, tempura, thai, thailand, the ramen rater, the ramenrater, theramenrater, theramenrater.com, top ramen, udon, united states, usa, washington, wheat, wheat noodle, yakisoba on September 19, 2012 by Hans "The Ramen Rater" Lienesch. 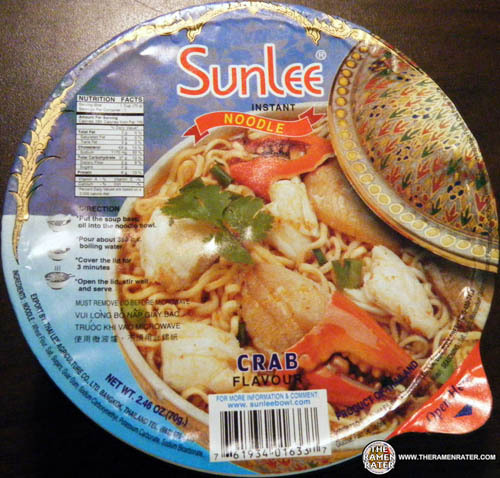 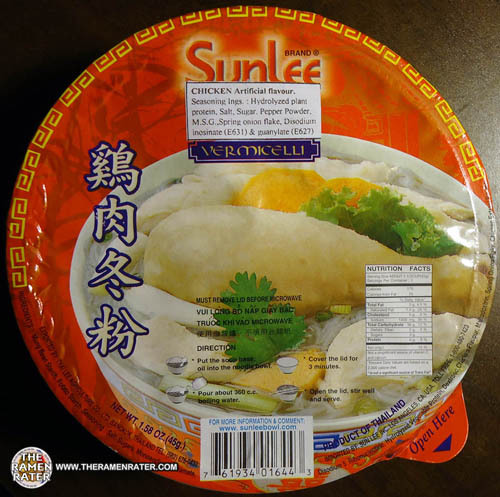 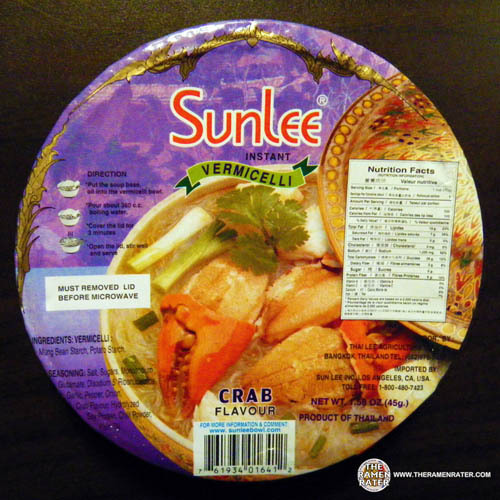 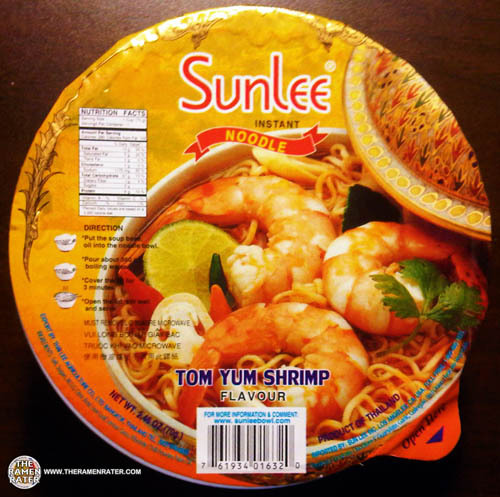 This entry was posted in * Stars 3.1 - 4.0, Seafood, Sunlee, Thailand and tagged 7 61934 01632 0, 761934016320, 98026, asian instant noodle soup, bowl, chinese, edmonds, eggs, fried noodle, hans lienesch, instant noodles, instant ramen noodles, japanese, lienesch, northwest, product of thailand, Ramen, ramen blog, ramen blogger, ramen rater, ramen review, ramen reviewer, ramen reviewers, ramen reviews, ramen video, ramenrater, ramenrater.com, ramenreview, rater, rating, ratings, review, reviews, seattle, sunlee, thai, thailand, the ramen rater, theramenrater, theramenrater.com, tom yum, tom yum shrimp, washington, west coast, wheat noodle on January 26, 2012 by Hans "The Ramen Rater" Lienesch. 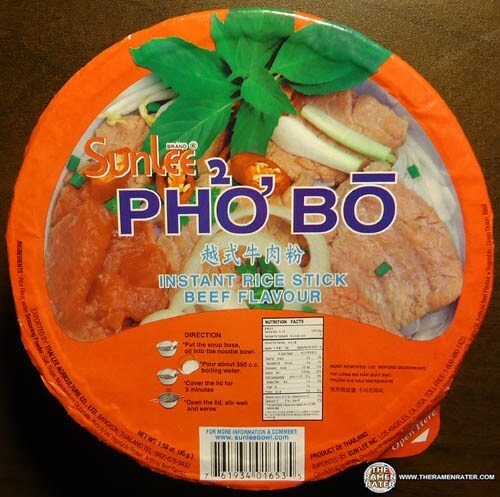 This entry was posted in * Stars 1.1 - 2.0, Beef, Sunlee, Thailand and tagged artificial beef, edmonds, hans lienesch, liebesch, lienesch, northwest, pho bo, Ramen, ramen blog, ramen blogger, ramen rater, ramen review, ramen reviewer, ramen reviewers, ramen reviews, ramen video, ramenrater, ramenrater.com, ramenreview, rater, rating, ratings, review, reviews, rice stick, seattle, sunlee, thai, thailand, the, the ramen rater, washington, west coast on September 10, 2011 by Hans "The Ramen Rater" Lienesch.